Product categories of Expanders, we are specialized manufacturers from China, Vertical Expander, Horizontal Expander suppliers/factory, wholesale high-quality products of Portable Expander R & D and manufacturing, we have the perfect after-sales service and technical support. Look forward to your cooperation! Expander can process heat exchange coil expanding, there are Hydraulic Vertical Expander, Hydraulic Horizontal Expander,servo horizontal expander,combined servo expander,Servo Vertical Expander ,stainless steel portable expander for different coils size and application. 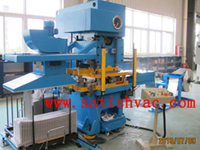 We would like to suggest you ideal machine as your production information. The basic principal is expaning the coils by using hydraulic system or mechanical friction force, thus fin and tubing will be contacted tightly.